Jewish Jesus - Art Exhibit: Early Egyptian Text describes Jesus magical appearance. 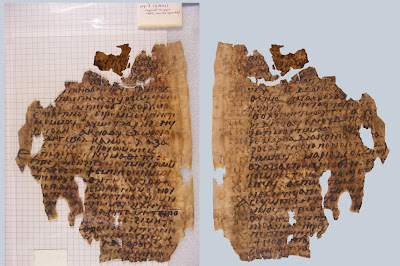 Early Egyptian Text describes Jesus magical appearance. The ancient text explains why Judas used a kiss, specifically, to betray Jesus. According to the canonical bible, the apostle Judas betrays Jesus in exchange for money by using a kiss to identify him leading to Jesus' arrest. This apocryphal tale explains that the reason Judas used a kiss, specifically, is because Jesus had the ability to change appearance. "Then the Jews said to Judas: How shall we arrest him [Jesus], for he does not have a single form but his appearance changes. Sometimes he is ruddy, sometimes he is white, sometimes he is red, sometimes he is wheat coloured, sometimes he is pallid like ascetics, sometimes he is a youth, sometimes an old man ... "
This leads Judas to suggest using a kiss as a means to identify him. If Judas had given the arresters a description of Jesus he could have changed shape. By kissing Jesus Judas tells the people exactly who he is. 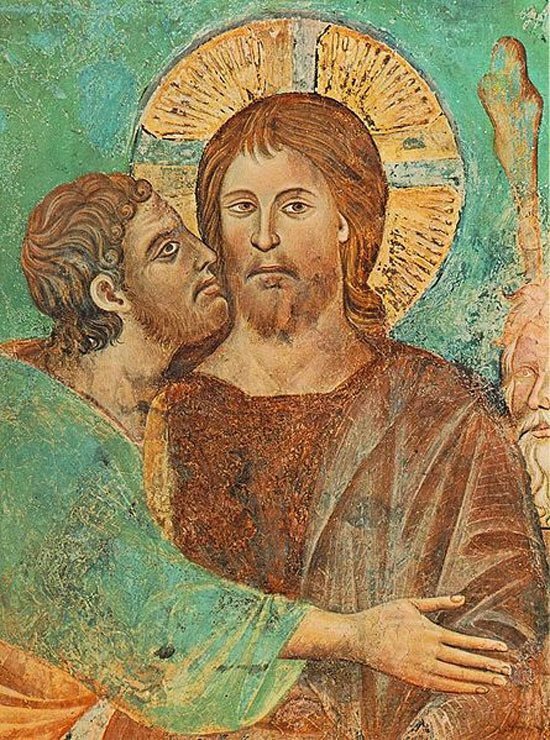 This understanding of Judas' kiss goes back to the first century . This explanation of Judas’ kiss is found in Origen, a theologian who lived 185-254 AD. In his work, Contra Celsum, the ancient writer, stated that "to those who saw him [Jesus] he did not appear alike to all." The text is one of fifty-five Coptic manuscripts that were found in 1910 by villagers digging for fertilizer at the site of the destroyed Monastery of Archangel Michael of the Desert near Al Hamuli in Egypt. Apparently, during the tenth century, monks had buried the monastery's manuscripts in a stone vat for safekeeping. The monastery ceased operations around the early 10th century, and the text was rediscovered in the spring of 1910. In December 1911, it was purchased, along with other texts, by American financier J.P. Morgan. His collections, and the text described, are now housed in the Morgan Library and Museum in New York City.